A shipment of Iranian arms discovered in Nigeria in October and destined for Gambia, to the chagrin of neighbouring Senegal, has stirred up diplomatic troubles between Tehran, Dakar and Banjul. “There are many things I will not say on this subject. Diplomacy does not happen in broad daylight,” Senegal’s Foreign Minister Madicke Niang told reporters in Dakar last week. The arms cache mystery, which has strained international diplomatic ties, began in July when a ship belonging to the French group CMA-CGM docked in Lagos, Nigeria, offloading containers loaded in Iran’s Bandar Abbas port. Officially, the shipment contained construction material, but customs discovered at least 10 containers holding grenades, mortars and heavy weapons ammunition. The trader designated by CMA-CGM as the sender, Iranian businessman Azim Aghajani, took refuge at Iran’s embassy in Abuja but was charged along with three Nigerians on November 25 for trafficking illegal arms. 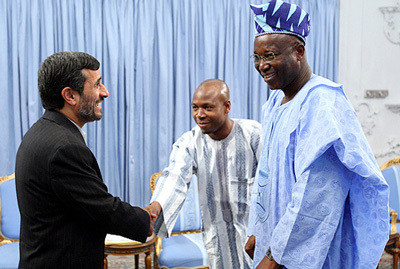 According to Nigeria, Aghajani is also a member of Iran’s ideological army, the Revolutionary Guards. Iran’s former foreign minister Manouchehr Mottaki — who was fired last week while on a trip to Senegal — initially said the arms shipment was from a “private company” selling weapons to a West African country, and was only transiting through Nigeria. Different sources identified this country as Gambia, the smallest nation on the African continent, which is wedged into Senegal. However the mystery arms cache has continued to have diplomatic repercussions, which began when Gambia announced on November 22 it was cutting all ties with Iran and ordered diplomats to leave the country. 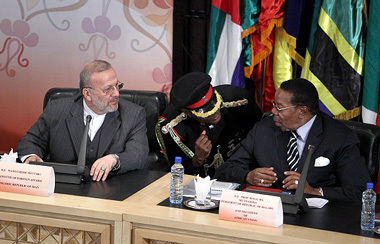 On December 14, Dakar recalled its ambassador to Tehran. 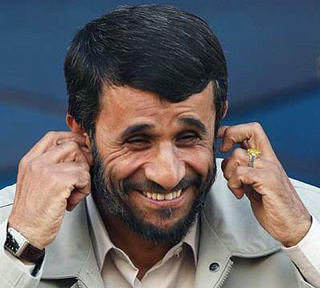 “We were told that these are private Iranians (who organized the arms operation) but this cannot be done without the knowledge of an organised state,” said Niang. An Iranian and three Nigerians have been charged with arms trafficking in connection with last month’s seizure of a large illegal arms shipment. 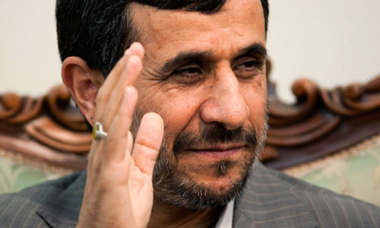 The charged Iranian, Azim Adhajani, is a member of Iran’s Revolutionary Guard Corps and was identified as a businessman from Tehran. Along with the Nigerian nationals, he was charged with exporting the illegal shipment to Banjul, Gambia, which began with last month’s seizure of 13 containers full of heavy weapons. Nigeria’s secret service found rocket launchers, grenades and other explosives which were camouflaged as building material. They were seized in the Nigerian port of Lagos after being unloaded from an Iranian ship. According to officials, eight camouflaged trucks and various pieces of military equipment were found hidden in a vehicle, but details of the shipment or operation were not immediately disclosed. Recently a massive drug seizure by Nigerian authorities yielded $9.9 million in high-grade heroin bound for Europe, Nigeria’s National Drug Law Enforcement Agency said. The shipment was seized in the Apapa port in Lagos, Nigeria’s largest city. It was not clear when the seizure was carried out. A massive drug seizure by Nigerian authorities yielded $9.9 million in high-grade heroin bound for Europe, Nigeria’s National Drug Law Enforcement Agency said Saturday. The agency credited intelligence from the United States in helping intercept the shipment, found hidden among auto parts on a container aboard a vessel that originated in Iran. “We sincerely appreciate the partnership with the United States as it is empowering our drug control capacity,” said Ahmadu Giade, the chairman and chief executive of the drug agency. “The relationship has been mutually beneficial and it will be further consolidated as we plan to vitiate more drug trafficking networks globally. International partnership is crucial in winning the war against narcotics,” he said. Some arrests were made, the agency said in a statement Friday, though it did not provide any details. Last month, Nigeria’s security service said it had seized 13 shipping containers filled with illegal weapons, including rockets, grenades and bullets — believed also to have come from Iran. 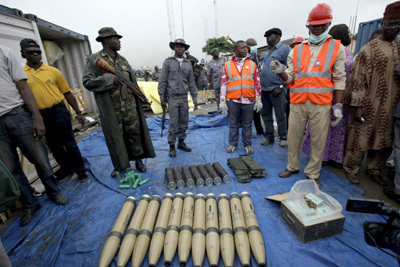 Nigeria reported Iran to the U.N. Security Council after the arms seizure. These evidences show that Iran’s regime is systematically involving in Drug Traffic to Europe and supplying weapons to terrorists. Dispatch: Nigeria Taking Iran to the UN Security Council? 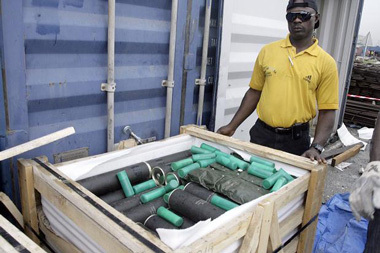 Analyst Mark Schroeder examines the timing of Nigeria possibly bringing Iran to the U.N. Security Council over a weapons shipment intercepted by Nigerian authorities at the port of Lagos.